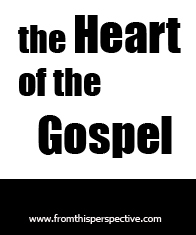 To finish out “The Heart of the Gospel Series“, we are going to take a look at how Jesus means everything, and how slowly but surely we should respond with everything in our lives. Now that we have an understanding of why Jesus means everything in our Christian faith, we must understand that our response requires everything in our lives. Over and over we see Jesus urge his disciples and other followers to leave everything and follow him. Why? Because he is the only way for us to have freedom over sin, to have access to God, to know God’s plan, to be effective in our lives, and to see God’s glory, We see that even though this seems like a risky move for these followers, it is a move that makes their lives meaningful, full of purpose, and full of joy regardless of the situation they are in. 1. Read Ephesians. Write down everything that Christ accomplished and reflect and pray that you’d be able to not only understand what this means, but what this means for you. 2. If Christ asked you to leave everything and follow him, what would that look like for you? What things would you want to hold onto? What excuses would you make? What fears would you have? Take some time and uncover what that would look like, in order to find idols or desires for your life that you may not even know. As we see in the Bible, this call means different things for different people, but it always uncovers where a person’s trust truly lies.